Fort Myers, FL Free Treatment Centers, Affordable Rehab Centers. 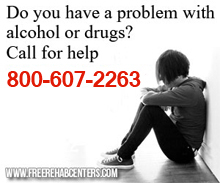 20 bed residential substance abuse program with aftercare for kid ages 12-18. Classroom instruction by a Lee County school teacher with Lee County School credit give when requirements are met. Low cost provider: Sliding fee scale based on income Placement is done through assessment. Substance abuse recovery center for men. Faith Based non profit. 12 step program. Call for details on entering this program.